This post may have links where I am an affiliate. Click HERE for my disclosure statement. I recently took a 4 week FREE class from Tanya on how to start a blog and make money with it.Â Even though I’ve have been writing on my blogs for a few years, I needed help with getting it out there.Â And these classes were great and I learned a lot of great tips. She offered a FREE year of hosting if you took the class!Â We set up the GoDaddy.com account through her and set up the wordpress theme and now my husband has a wonderful blog started called Grandpa’s Christian Soldiers. Below is just a few things she will talk about.Â You will love all the information she will pass along, not only in the class but in her emails.Â You will be able to ask her questions during the class also. If you want to increase your affiliate sales, what do you need? More traffic. You need to be consistently marketing and bringing more potential customers to your blog or website. Easier said than done? Here are some simple ways to increase your traffic. Write up some articles about topics that your niche market will relate to. Submit them to some of the bigger article directories, or to some related niche directories. Don’t forget about search engine optimization. A lot of people think this is just too hard so they don’t bother with it. Find a simple course that will teach you the basics of SEO, and optimize your website. It basically boils down to using good keywords in the right places, and getting some good quality websites to link to yours. Join some forums in your niche. Become a “giver” by answering others’ questions and offering some good information. Get to know the other members and let them get to know you. You will build some relationships by doing this, and can increase your sales through some gentle promotion. This does have its place. Although there are many free ways to bring in more traffic, you also may want to consider trying some paid advertising. If you go this route, make sure you are advertising on a well-trafficked website/blog that attracts your target market. Put your money to good use and choose wisely where you place your ads. Is your target market on Facebook, Twitter, or Linkedin? If so, befriend them, like their pages, follow them – whatever the appropriate term is, do it! Start a group and invite them to join. Getting more targeted traffic can all be summed up in one statement. Hang out where your target market hangs out. Get to know them and let them get to know you. Are they online? Advertise and frequent where they are. Are they offline? Get flyers and ads up there. Go where they are, get to know them, and let them get to know you. You will see your sales increase as a result. Looking for ideas on how to turn all that traffic into cash? 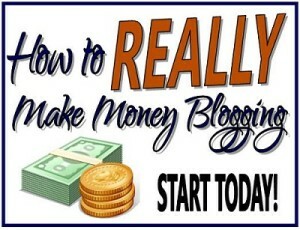 Consider joining Blogelina’s Profitable Blogging Online Class and get 4 weeks of helpful info on monetizing your blog! I’m just a country girl loving my geeky life with my wonderful husband, always taking pictures, getting my hands dirty in the garden, being crafty, exploring with travels and enjoying all this on a budget. But above all, living my faith as a child of God! I'm just a country girl loving my geeky life with my wonderful husband, always taking pictures, getting my hands dirty in the garden, being crafty, exploring with travels and enjoying all this on a budget. But above all, living my faith as a child of God! Would You Love to See More? Subscribe to Our Newsletter & Never Miss A Recipe, Craft, Garden Tip or Giveaway!